Arsenal have been handed good news on the injury front as Alex Iwobi’s father has suggested his son will be fit to face Newcastle United next Saturday. The 22-year-old was forced to sit out the win over Cardiff City prior to the international break, while he was also unavailable for Nigeria ahead of their encounter with Seychelles. However, while expressing disappointment on behalf of his son over his recent setback and inability to play for club nor country, Chuka Iwobi has revealed that the Arsenal ace should be ready to make his case to feature against Newcastle next weekend. “Thanks for the concern. Indeed it was sad for Alex that he wasn’t in the squad for the Arsenal match versus Cardiff and had to withdraw from National Team for the match versus Seychelles,” he is quoted as saying by allnigeriasoccer.com. 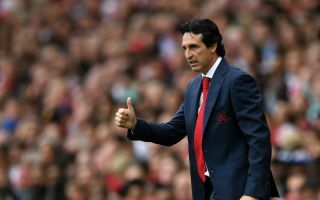 That will be welcomed news for Iwobi, Unai Emery and the Gunners in general, as the injury would have been a source of real frustration for the attacking ace given his start to the season. The Nigeria international provided an assist in the win over West Ham after getting on the scoresheet against Chelsea in the defeat at Stamford Bridge. In turn, he appears to be showing signs of being capable of playing a key role in Emery’s plans moving forward, but consistency will be key as his form in recent years has been frustratingly indifferent. Picking up injuries and knocks won’t help with that process, and so he’ll be desperate to get back to full fitness and be passed fit to push for a place in the line-up to face Newcastle next Saturday.